The world is full of people that want to see humans on Mars. Until now the average person had no means to support such a difficult and expensive mission. The Mars Initiative has changed that! 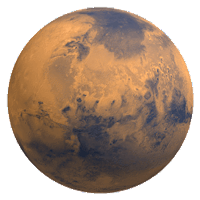 The Mars Initiative is a non-profit organization that seeks to gain the support of one million people for a human mission to Mars. If a million (or more) people were donating just one dollar every month, The Mars Initiative would raise, at a minimum, $12 million dollars a year. All of this money would go to the agency or corporation that launches the first manned mission to Mars. The concept is very similar to the Google Lunar X Prize, except the amount is not a fixed, rather it depends on the amount of donations received from the public. The fund will continue growing until such time as the first manned Mars mission leaves Earth's surface. The Mars Initiative is entirely transparent. All donations go to a bank account that will remain untouched until the first manned mission to Mars lifts off. Every bank statement is uploaded monthly to The Mars Initiative's website, allowing the public to keep track of all donations. One of the greatest aspects of The Mars Initiative is that it is entirely volunteer-based. Whether it be website development, public relations, or even legal, everything is done on a volunteer basis. What's more, any person is welcome to volunteer and grow The Mars Initiative. In the future there will be a list of tasks that the organization needs to accomplish and people will be able to check out that task. This novel method will let people choose the tasks they are best suited to complete, ensuring that people of any background can contribute to The Mars Initiative and give everyone a chance to be a part of history. The Mars Initiative's transparent fundraising and entirely volunteer-based approach will produce a large number of supporters throughout the world and guarantee that it accomplishes its goal of securing at least one million people for a human mission to Mars. I'll be posting regular updates about The Mars Initiative here, so keep checking back in! Join The Mars Initiative Now!